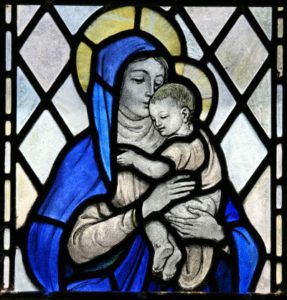 The Holy Family is the focus of this small icon shrine. 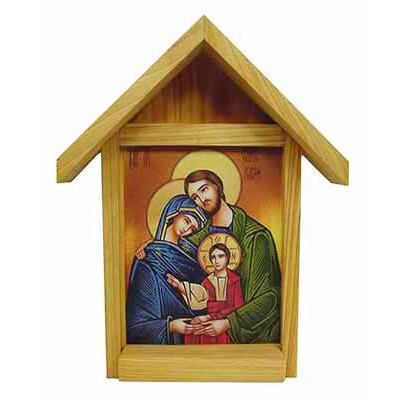 The love and intimacy of the Holy Family are the focus of this icon shrine. Shrine is made of cypress wood and an aluminum image plate for outdoor or indoor use. 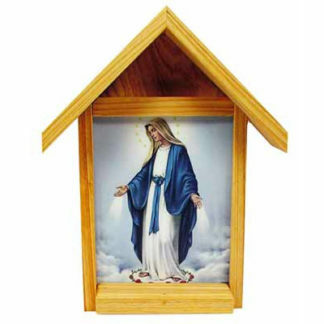 Shrine measures approximately 7 5/8″ from peak to base and is 6″ wide at ends of roof. 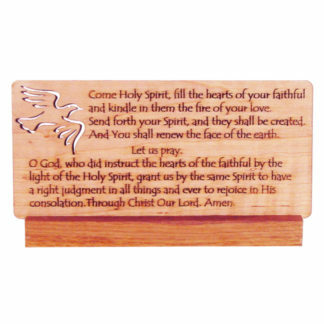 Visible image measures approximately 4 1/2″ high and 3 5/8″ wide. A beautiful gift for a wedding or house warming.